Abhay’s fears come true when an enemy from the past returns to seek revenge on his family. Catch episode 5 and 6 of ZEE5 original Abhay on 16 April. Following the inverted detective format, ZEE5 original Abhay has all the ingredients to keep you hooked, booked and intrigued. 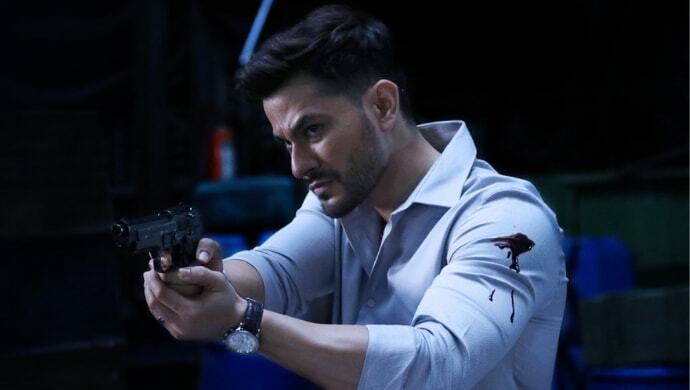 Four episodes from the web series have been released so far and the viewers cannot get enough of Kunal Kemmu‘s performance. Breaking away from his comic stints, the Bollywood star tested the waters for the first time. In every episode, Special Task Force officer Abhay Pratap Singh (Kunal) sets out to solve a crime case, inspired by true events. So far Abhay has solved cases involving cannibalism, dating app scandal, cyanide poisoning and also a triple murder involving a psycho killer. But the upcoming episode 5 and 6 of the digital project seem to shift the focus on Abhay’s personal battles. As seen in previous episodes, Abhay has a son named Saahil who he is trying to protect from a certain Govind. So much so that Abhay’s precautionary measures have scared the daylights of his little one, making him a baddie in his eyes! But in the incoming drama, we shall see ghosts of the past visiting Abhay leaving him torn between saving Natasha (Elnaaz Norouzi) and save others too. Will Abhay be able to put up a good fight and save the day, yet again? Catch episode 5 and 6 of Abhay on ZEE5 16 April 2019 onwards. In the meantime, don’t forget to watch another ZEE5 original Rangbaaz, set against the rustic background of the Gorakhpur of the 90’s.